You are here: Home > What is defensive medicine? The Defensive Medicine series on The Unnecessarean has tried to be inclusive, offering the perspective of two obstetricians, two lawyers, two sociologists and a lay person. There’s one thing that’s missing from the series, though: an explanation of how defensive medicine works. Defensive medicine takes two main forms: assurance behavior and avoidance behavior. Assurance behavior involves the charging of additional, unnecessary services in order to a) reduce adverse outcomes, b) deter patients from filing medical malpractice claims, or c) provide documented evidence that the practitioner is practicing according to the standard of care, so that if, in the future, legal action is initiated, liability can be pre-empted. Avoidance behavior occurs when providers refuse to participate in high risk procedures or circumstances. What about defensive medicine in obstetrics? Consider the explosion in the rate of C-sections and inductions. They satisfy the requirements of assurance behavior. Deterring medical malpractice claims? Check. Consider the precipitous decline in the rate of VBAC. That’s avoidance behavior: malpractice insurers have forced providers and hospitals to refuse to participate in VBACs. There’s an important subtext that undergirds defensive medicine that often goes unrecognized and therefore unanalyzed. Defensive medicine is driven by the fact that we live in a “risk society,” a society that is organized around a new understanding of risk. There have always been risks, of course, but they have traditionally been viewed as outside the control of human beings. The risk society has arisen because of new beliefs that we can and (especially) that we should control every aspect of risk. In our risk society, we are obsessed with the risk of auto accidents and outfit our cars with ever more airbags and safety features. We are obsessed with risks to our children, and restrict their play outdoors and their independence, and we are obsessed with illness and death, literally passing laws to control personal habits like smoking. How does the “risk society” impact obstetrics? We have become obsessed with the perfect child, and we construct ever more elaborate requirements to ensure that everything we do contributes to the perfect outcome. There have always been risks in childbirth. Indeed, it has traditionally been the leading cause of death of babies, and one of the leading causes of death of young women in every time, place and culture. The “risk society” demands that we do everything possible to reduce those risks to zero. Lay people often conceptualize risk as a dichotomy: an individual is either low risk (it won’t happen) or high risk (it will happen). But that’s not how risk works. Risk exists on a continuum; the risk varies from individual depending on a complex interaction of numerous factors. What’s the risk that a baby will die of group B strep meningitis? That depends on the presence of GBS in the mother’s genital tract, the exposure of the baby when delivered, and the presence or absence of antibiotics. We can determine the risk of GBS meningitis in large populations, but for the individual woman who carries GBS, we cannot predict the risk that her infant will be infected. What does this have to do with defensive medicine? Consider that in our risk society we are supposed to reduce our risk to zero. How do we do that? We do that by acting to reduce risk regardless of how small the risk might be. That represents an entirely new approach. Until the advent of the risk society, we determined which tests and procedures to use by establishing a risk threshold. For example, we know that the risk of stillbirth begins to rise in the last weeks of pregnancy (from about 36 weeks onward). The risk of stillbirth begins to increase precipitous at 42 weeks. So we arbitrarily established the risk threshold for postdates induction at 42 weeks. Lay people, with their dichotomous view of risk, tend to imagine that there is no risk of stillbirth prior to 42 weeks, and there is a risk of stillbirth after 42 weeks. But the reality is that risk exists on a continuum. Defensive medicine can best be conceptualized at lowering the risk threshold. In the case of induction, the risk of stillbirth starts rising long before 42 weeks. Since the risk society mandates that we reduce risk to zero, doctors feel they have no choice, but to offer postdates induction to women by 41 weeks, or even 40 weeks. That’s really the only way to reduce the risk to zero. This is a critical point. Lay people imagine that defensive medicine offers no benefits to patients and is undertaken solely to protect doctors, but that’s not a complete picture. Defensive medicine is simply lowering the risk threshold. It benefits patients in that the risk of a particular outcome (like postdates stillbirth) is reduced as far as it can be reduced. So what’s wrong with defensive medicine? Defensive medicine rests on the premise that we must do things to reduce risk. It completely ignores the risks posed by doing things. But that’s not only a feature of defensive medicine, it is a feature of every aspect of a risk society. Yes, we make cars safer by putting in more safety features, but we increase the price of cars. Yes, we reduce the risk of kidnapping if we don’t let our children play outdoors, but it’s not good for children to grow up cowering inside their houses. Yes, we reduce the risk of illness when we pass laws regulating private habits, but we also reduce freedom. And when we do more inductions for postdates we lower the risk of postdates stillbirth, but raise the risk of C-section. In our risk society, though, we apparently don’t care. 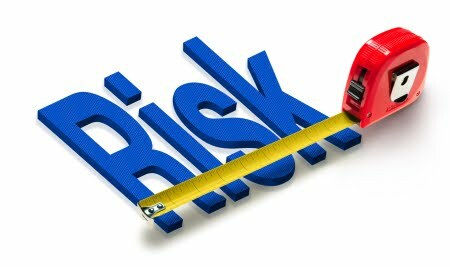 We consider ourselves required to reduce risk to zero, regardless of the other risks or costs that increase as a result. Where does that leave us in regard to defensive medicine? First, we can see that defensive medicine is not the use of tests and procedures on people who don’t need them. It’s lowering the risk threshold for using tests and procedures that we previously reserved for higher risk individuals. Second, defensive medicine is not really a medical issue, but rather a societal issue. As a society, we need to give up the idea that we can and should reduce all risk to zero. We need to recognize that there are negative consequences to reducing risk, as well as positive ones. Most important, we need to figure out how much risk we are willing to tolerate. Zero risk is not achievable, and the price for attempting to achieve it can be very high. What does this mean for birth activists? It means that blaming doctors for defensive medicine not only isn’t working, but it can’t work. It means recognizing that low risk is not no risk and that, therefore, doctors need guidance on what patients believe is acceptable risk. And most of all, it means deciding, as individuals in a risk society, what trade offs we are willing to accept in order to reduce risk.